The 6mm composite hidden deck fastener offers a clean and smooth finish to any decking project. Using a hidden deck fastener system will avoid any visible nails and screws, perfect for contemporary or complicated decking patterns, as they leave a professional look, not distracting from the decking design itself. The precision of the 6mm fastener will create perfectly consistent 6mm spacing between every board for a flawless look, suitable for most composite decking projects. Hidden decking fixings attach at the side of the board rather than the top, where they are much less likely to get wet, and will do their job out of sight. When the first board is in position, simply slide the concealed fasteners into position so that it sits within the grove of the deck board, directly in the centre of the joist below. This will ensure that both boards are secure and ensure a 6mm expansion gap between each. Be sure to tighten the composite decking clip so that it is secure, and repeat down the length of the entire board so that there is a clip at every joist. For the next board, lay it into position so that again the 6mm composite decking spacer is in position in the groove, ensuring it is not forced into place, and repeat the process again. Once the second board is also secure, the composite deck screws in the first row can then be secured. 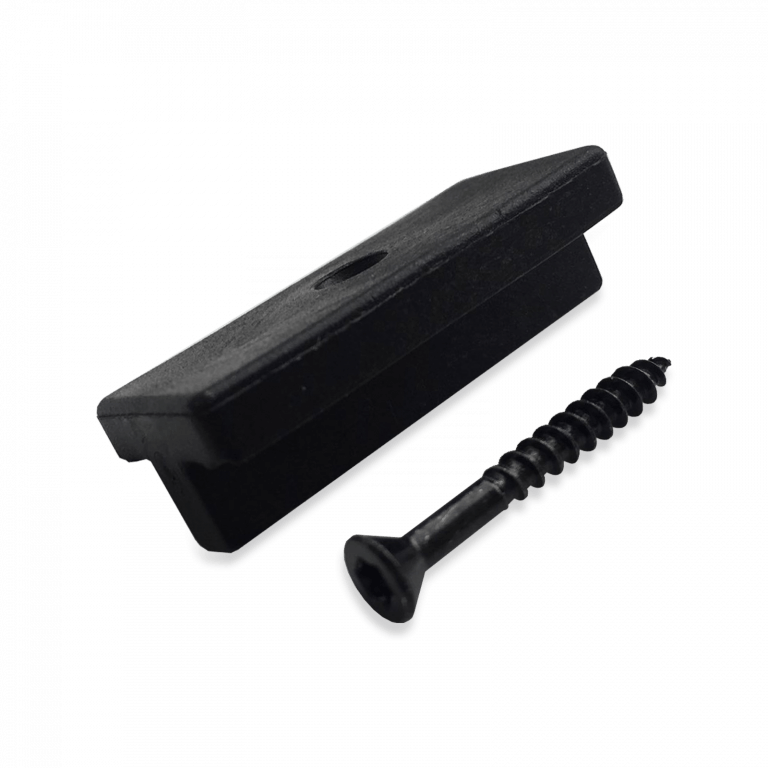 We typically recommend using a simple concrete base and out own WPC joists for a decking project using these 6mm hidden deck clips. A benefit of the 6mm hidden deck fastening system is that a drill or screwdriver can fit through the gaps in the boards, allowing for easier and more accessible fastening. Continue the process of laying new boards and tightening the previous row until the entire deck is complete. Generally, composite decking spacers will also allow for more movement in the decking than deck screws, creating a more natural look that doesn’t have to be replaced.